Download free 12 month calendar templates printable for 2017. Below is special design may 2017 calendar template printable with week numbers and day of the year counter as image (.PNG) and PDF file format. 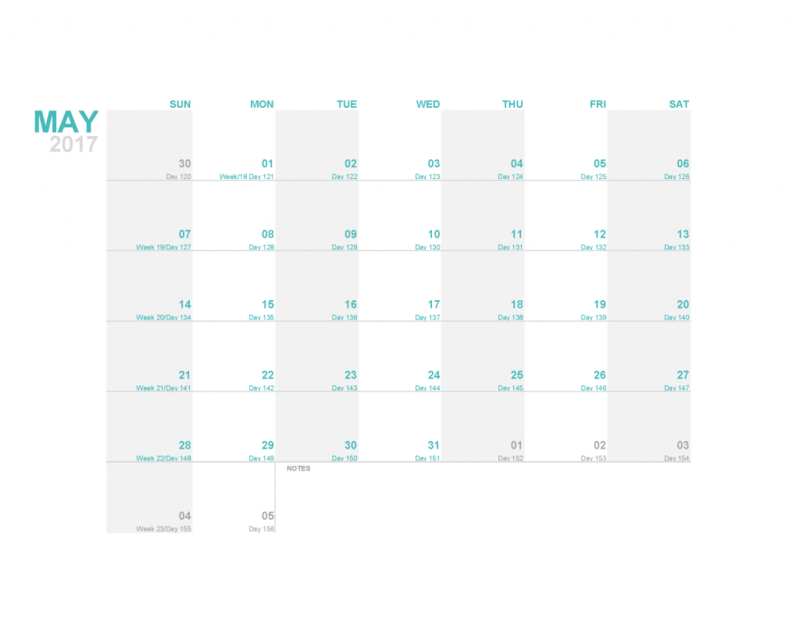 This free printable calendar template is the best choice for home, school or your business. Click link below to download your may 2017 calendar.